Bryan Bedder/Getty Images for National GeographicJames Murdoch has served on Tesla’s board of directors since 2017. 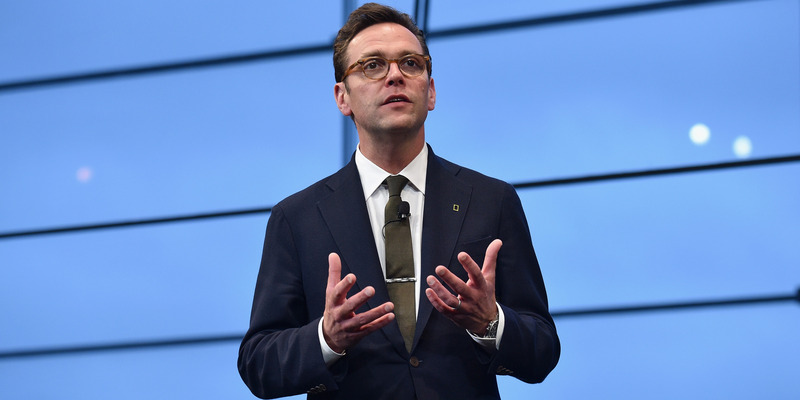 Telsa board members have proposed 21st Century Fox CEO James Murdoch succeed Elon Musk as chairman. Murdoch previously came under fire, ahead of his re-election to the board in May, due to a lack of relevant experience. Some members of Tesla’s board of directors have proposed 21st Century Fox CEO James Murdoch take over the role of chairman following Elon Musk’s settlement with the Securities and Exchange Commission to relinquish his top boardroom role, the New York Times reported late Tuesday. Murdoch – son of media mogul Rupert Murdoch – has served on the board since 2017, but hasn’t yet volunteered himself for the role of chairman, James B. Stewart reported, citing people familiar with the board’s discussions. No serious discussions have occurred, according to the paper. As part of his settlement, Musk has 45 days to vacate his role as chairman of Tesla’s board, which has come under fire in recent months by critics who think it should exercise more enough control over the sometimes-erratic billionaire. While considered independent by Tesla, Murdoch may not be everyone on the board’s top choice. In May, proxy advisor Glass Lewis and union pension fund CtW Investment Group both urged shareholders to vote against Murdoch’s re-election as director, citing his implication in scandals at 21st Century Fox subsidiaries Fox and New Corp, as well as a lack of relevant automotive or green technology experience. In an interview Monday, Glass Lewis’ head of environmental, social, and governance research explained why an independent chairman was so important for Tesla’s board. “The board has a duty to shareholders to ensure that they are exercising their fiduciary oversight of the company, including the leadership and management,” Courteney Keatinge, director of ESG at the proxy advisor, told Business Insider. Murdoch, who owns roughly 10,000 shares of Tesla worth about $US3.03 million at Wednesday’s price, also serves on the boards of Sky, TrueX Media, 21st Century Fox, New Corp, and Yankee Global Enterprises, as well as a handful of arts organisations, according to Bloomberg data. 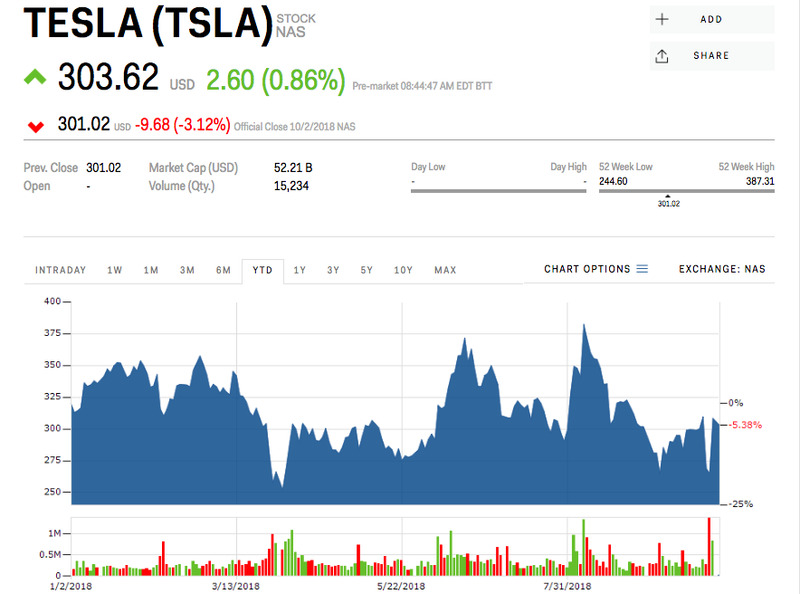 Following the SEC’s regulatory action against Musk, Tesla’s board said it remains fully confident in his leadership. 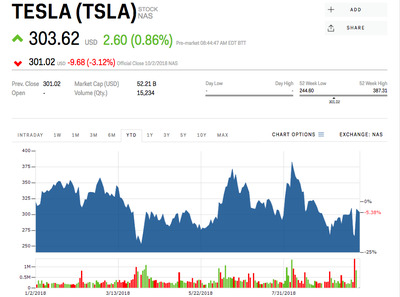 Tesla shares were up less than 1% early Wednesday. They have fallen about 3% this year.